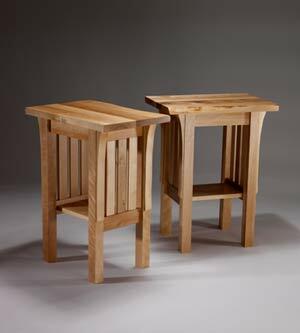 If you are interested in ordering work from Jan Coulter Furniture Maker, please call 902-584-3965. Jan is committed to customer satisfaction, so she will take the time to find out exactly what you are looking for before construction of the piece begins. A face-to-face meeting in her Annapolis Valley shop is best, if possible. A turn around time of three to six months should be expected. A one-third deposit is required up front, with the balance payable on receipt of the finished piece. There are no additional taxes charged. Pieces may be picked up from the shop, or arrangements can be made for delivery within Nova Scotia.